Additional speakers will be announced in the coming weeks so be sure to check back often for updates. Walt Disney Imagineering is the creative engine behind experiences found in Disney theme parks, resort hotels, cruise ships, and consumer products—including books, games, and merchandise. Imagineering’s unique strength comes from the teamwork and syntheses of creative and technical professionals representing more than 100 diverse disciplines. Robin Reardon is an executive producer at Walt Disney Imagineering currently working on the Global Star Wars portfolio. Robin joined the company in 1985 as a Project Scheduler for the Disney MGM Studio Tour, where she coordinated the design and build teams. She worked her way up through Imagineering to become a Show Producer, leading the creative development, production, and construction of projects in Florida, Tokyo, and California. Robin has more than 30 years of experience in the design, management, and implementation of multi-faceted projects. 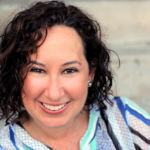 She has also worked as the VP of Creative Development for Universal Studios’ Islands of Adventure, where she directed all aspects of the project including corporate sponsorship, financing, creative development, and team building. In addition, Robin worked as Warner Bros’ owner’s representative for The Wizarding World of Harry Potter in Florida. In 1997, Robin founded a New York City-based concept design firm, specializing in providing design solutions to a broad range of clients, including Jim Henson Productions, Sesame Workshop, RadioShack, the World Science festival, and Warner Bros.
Kristina Dewberry is a construction manager at Walt Disney Imagineering. In this role she is responsible for handling the logistics for all WDI Construction Projects at Disneyland Resort. This includes the coordination of all of the services the project teams require to complete their projects. She currently oversees the team that authorizes everything coming and going on the construction site for Star Wars: Galaxy’s Edge. In addition to this, she has been asked to look at all major construction projects at Disneyland Resort from a jobsite logistics perspective, to help project teams be as efficient and safe as possible. 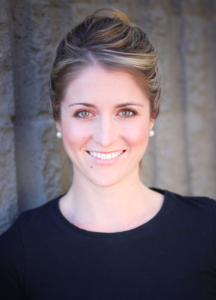 Kristina started with WDI in 2009 as a construction coordinator on the Disneyland Hotel Renovation project. From there she was promoted to several roles including business system analyst, associate construction manager, and assistant construction manager. She has worked on several projects, including Trader Sam’s at Disneyland Hotel, new magic added to Peter Pan for the 60th Anniversary of Disneyland, Pixar Pier, and more. 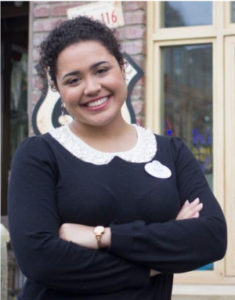 Asya Cara Peña is a ride mechanical engineer at Walt Disney Imagineering. In this role she is responsible for the design and implementation of ride systems from concept to installation. She ensures all ride systems are safe and designed for their specific applications while also meeting creative, operational, and maintenance needs. She is currently the lead mechanical engineer for the Rise of the Resistance ride vehicle. Asya started at WDI in 2014 as an intern working on Disney’s California Adventure Luigi’s Rollicking Roadsters. She worked on the design of the trackless vehicle, focusing on making the vehicle ergonomic and accessible to Guests with Disabilities. During this time, she also had the opportunity to contribute to Shanghai Disneyland by running structural analyses on Shanghai Disneyland’s Voyage to the Crystal Grotto. Since May of 2015, she has been working on Star Wars: Galaxy’s Edge Rise of the Resistance on the Vehicle Team. During her four years on the project, she was promoted to the lead mechanical engineer of the ride vehicle. Kirstin Makela is an art director at Walt Disney Imagineering responsible for upholding the creative integrity of a project. She guides various teams and disciplines through the design, fabrication, and construction process to ensure that they are all working towards a cohesive final product. She is currently working as the art director for Star Wars: Galaxy’s Edge on the village portion of the project in Disneyland. Kirstin has worked on several projects, including the Hong Kong Disneyland expansion, as lead designer for Disneyland Resort’s 60th Anniversary, and the Aulani Resort Expansion. Hafize Gaye Erkan is the President of First Republic Bank and serves on the company’s Board of Directors. Ms. Erkan joined First Republic in 2014 as Senior Vice President, Chief Investment Officer and Co-Chief Risk Officer. Prior to First Republic, she held the position of Managing Director and Head of Financial Institutions Group Strategies at Goldman Sachs, where she worked for nearly a decade, advising boards and executive management of large U.S. banks and insurance companies. Ms. Erkan graduated as valedictorian of Bogazici University in Turkey, B.Sc. and earned a Ph.D. in Operations Research and Financial Engineering from Princeton University. She is a graduate of Harvard Business School’s Advanced Management Program and the Stanford Graduate School of Business Executive Program in Leadership. 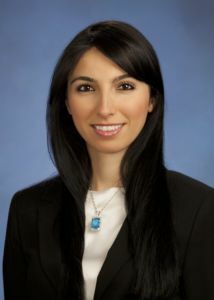 Ms. Erkan currently serves on the Boards of Directors for the Partnership for New York City and Gradifi, and on the Advisory Council for the Princeton University Department of Operations Research and Financial Engineering. She was named to the 2019 Crain’s list of Notable Women in Banking and Finance. Founder and CEO at littleBits, Ayah Bdeir is an engineer and interactive artist. An alumna of the MIT Media Lab, Ayah’s TED talk: “Building Blocks that Blink, Beep and Teach” about littleBits has garnered more than one million views. Ayah has lectured and advised extensively on how to get more girls into STEM, including at the White House “Breaking down gender stereotypes” panel, at Forbes Under 30 “Closing the Tech Gap” and at Women in the World with Tina Brown. She has earned countless awards for her work, including acquisition into the MoMA permanent collection, recognition in Fast Company’s Most Creative People in Business, Business Insider’s 26 Most Powerful Women Engineers, Inc. Magazine’s 35 Under 35, Popular Mechanics’ 25 Makers Who Are Reinventing the American Dream, Entrepreneur’s 10 Leaders to Watch, and more. Sarah Prevette has developed transformational strategy for some of the country’s biggest business leaders and renowned brands. Globally recognized for her work in human-centered design and entrepreneurship, she is proud to work alongside an incredible team of educators to drive innovation inside schools. Prevette’s organization, Future Design School, provides world-class strategy development, professional training programs and resources that empower effective leadership and personalized learning. Schools across North America leverage Future Design School to build capacity with their existing teams and to drive critical skill development with their students. Prevette has an illustrious history of innovation. After starting her career at an early stage startup in 1997, she helped to scale the company into a global behemoth. She was recruited to run product development and marketing for a large software company, which she helped grow and sell to Thomson Reuters in 2008. Prevette then founded Sprouter; the world’s first online community providing real-time advice to startups. The platform was acquired in 2011 and she went on to build BetaKit – a technology news site that was acquired in 2013. In 2014, she joined forces with business leaders from companies like LEGO, Virgin and Starbucks to create a venture capital fund that invested in early-stage startups and created nearly a billion dollars in net worth. Sarah has been named by Inc Magazine as one of the top entrepreneurs in North America and one of the “Top 20 Power Elite” by Canadian Business. She has been profiled by numerous publications including The Globe and Mail, Entrepreneur Magazine and The Wall Street Journal. 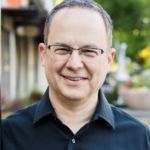 Brian Weisfeld has been building businesses his entire life. As a kid, he bought gummy bears and hired his friends to sell them. As a teen, he sorted baseball cards, babysat, and sold mixtapes. As an adult, he helped build well-known, billion-dollar companies including IMAX Corporation and Coupons.com. Brian is the Founder and Chief Squad Officer of The Startup Squad, an initiative dedicated to empowering girls with an entrepreneurial mindset to help them reach their potential, whatever their passions. His first book, The Startup Squad, will be released by Macmillan on May 7, 2019. Brian lives in Silicon Valley with his wife and two daughters. 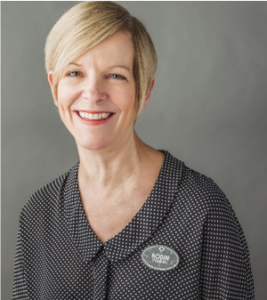 Gayle Allen has a passion for connecting people to ideas that improve their lives. A global leader in learning and development, Gayle is Founder and CEO of The Innovators’ Circle, a firm that works with leaders on organizational performance. She is also Host and Creator of Curious Minds, a podcast that features award-winning innovators rewriting the rules of work in a digital age. 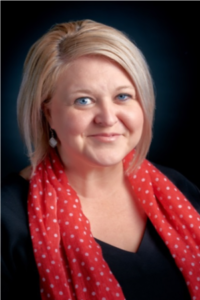 Gayle was Chief Learning Officer at BrightBytes, an educational technology company that’s garnered dozens of awards for improving the way the world learns. She earned her MBA in Global Innovation and Leadership from MIT and her doctorate from Teachers College, Columbia University. Gayle served as Executive Director of two adult learning institutes. 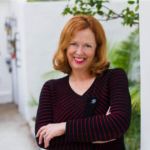 Gayle’s writing has been featured in Mindshift, Edsurge, Edutopia, and Educational Leadership, and she is the author of the book, The New Pillars of Modern Teaching. Julie Schoenfeld is a serial entrepreneur with a passion for identifying talent and assembling effective teams. Her most recent company, Strobe Inc., was acquired by General Motors, Cruise Automation and is building groundbreaking LiDAR sensor technology for the self-driving car. Julie was formerly CEO of Perfect Market, Inc., a digital publishing software company backed by Trinity Ventures, Idealab and Comcast. Perfect Market was acquired by Taboola in July 2104. 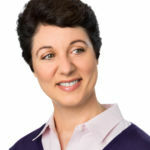 Julie also served as CEO and founder for two other successful venture-backed start-ups. In 1999 she led the sale of Net Effect, Inc., for over $300M to Ask. 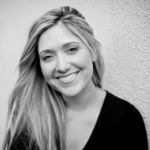 Julie is a recognized industry thought leader and has presented at conferences such as The Milken Global Conference, TechCrunch Disrupt, Business Insider Ignition and AdMonsters. She serves on the board of Protégé LLC. Has been named as Digital LA’s named list of Top 50 Digital Women. National Association of Women Business Owners in Los Angeles acknowledged Julie with the prestigious “Innovator of the Year” award. Julie holds a B.S. in engineering from Tufts University and an M.B.A. from Harvard Business School. Laila’s path to creating LearnDistrict and Girls Make Games is unique because her background was not in video game design. 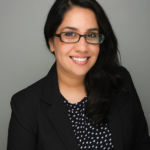 A Pakistani immigrant raised in the United Arab Emirates, Laila attended Massachusetts Institute of Technology and pursued finance and policymaking on Wall Street and Capitol Hill. She found her passion in video games while watching her husband play Halo professionally. By seeing the skills he acquired through playing, she realized that a connection between education and video games needed to be formed. She first founded LearnDistrict, a company that makes educational games and interactive experiences for youth. She then conceived Girls Make Games while trying to understand why more women were not a part of development teams in the video game industry. Girls Make Games started as a small, three-week camp in the San Francisco Bay area and within a week of Laila promoting it through a single post on Twitter, 50 girls were signed up. Since then, Girls Make Games has grown internationally with workshops and camps 54 different cities. Girls Make Games teaches girls game development and design and also offers them a home to express their share love of playing and creating video games. In 2014, GamesIndustry.biz named Laila the Games Industry Person of the Year, and in 2018, she received the Visionary Award from the Entertainment Software Association. A game developer and proud gamer herself, Laila has set a personal goal to teach one million girls how to makes games through her work. 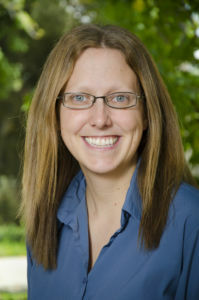 Allison Strom is a Carnegie-Princeton postdoctoral fellow at the Observatories of the Carnegie Institution for Science in Pasadena, California. She received a PhD in astrophysics from the California Institute of Technology in 2017, a MPhil in astronomy from the University of Cambridge in 2011, and a BS in physics and astronomy from the University of Arizona in 2010. One of the primary goals of her research is to understand the origin of mature galaxies like our own Milky Way, which has been a longstanding open question in astronomy. Throughout her career, Allison has used some of the world’s largest telescopes to address this issue, leveraging their enormous technological power to observe “adolescent” galaxies in the very distant universe. Janelle Wellons graduated from the Massachusetts Institute Technology (MIT) with a B.S. in Aerospace Engineering in 2016. 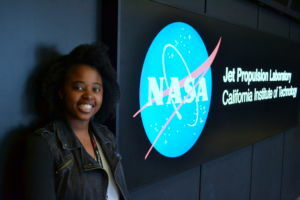 After graduating, she moved from her home in New Jersey to Southern California to work at the NASA Jet Propulsion Laboratory (JPL) in Pasadena. 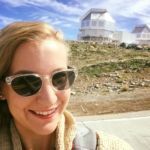 At JPL, Janelle works as an instrument operations engineer on the Lunar Reconnaissance Orbiter, the earth-observing Multi-Angle Imager for Aerosols, and previously on the Saturnian Cassini mission. Her job consists of creating the commands for and monitoring the health and safety of a variety of instruments ranging from visible and infrared cameras to radiometers. She also works in development, specifically for the ground data system and instrument operations concepts for the MAIA mission. 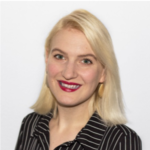 Additionally, Janelle serves on an advisory board for Magnitude.io, a company that creates project-based learning experiences designed for STEM education. When she isn’t working you can find her playing video games, reading, enjoying the outdoors, and doing outreach work.